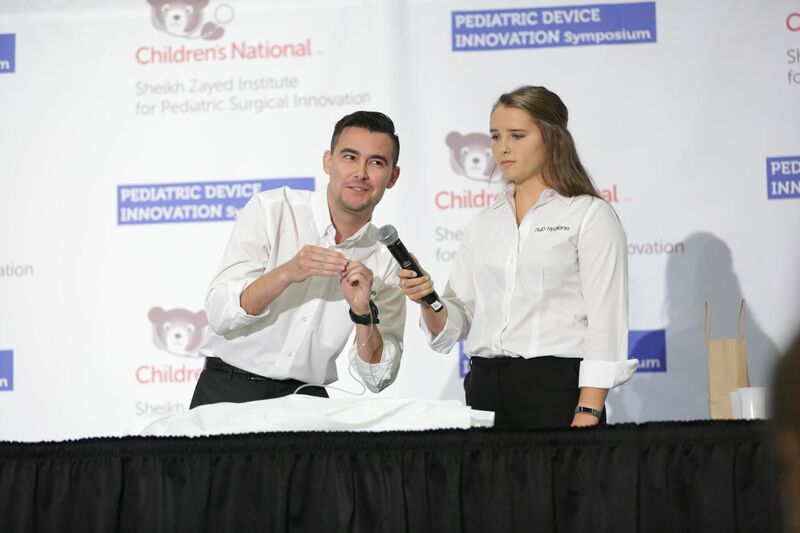 Dr. Jud Ready, principal research engineer for the Georgia Tech Research Institute's Electronic Systems Laboratory (ELSYS), and Alexandra Lewis, student assistant for ELSYS and a Georgia Tech Biomedical Engineering student, received $50,000 during the "Make Your Medical Device Pitch for Kids!" competition sponsored by the National Capital Consortium for Pediatric Device Innovation (NCC-PDI), a FDA-funded consortium. 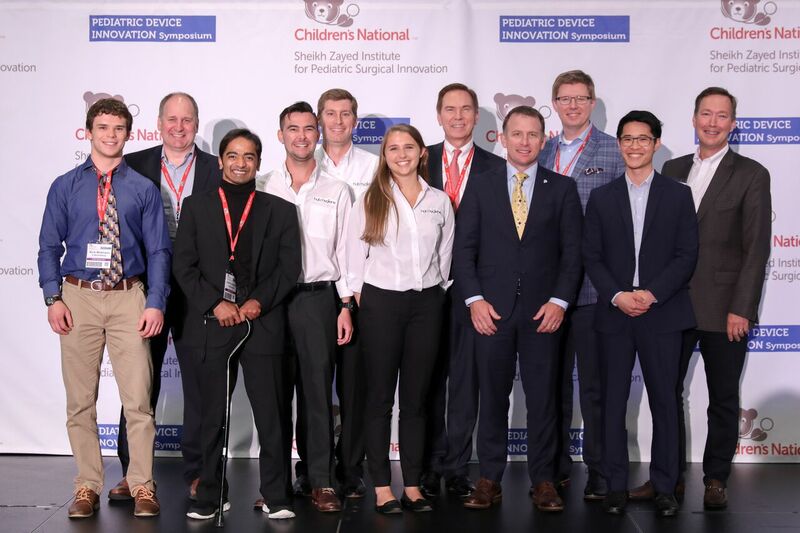 The competition, held during the 5th Annual Pediatric Device Innovation Symposium hosted by Children's National Health System in San Jose, California, had 98 total entries, with the top dozen being selected to present in person in San Jose, but only six innovative devices were chosen. 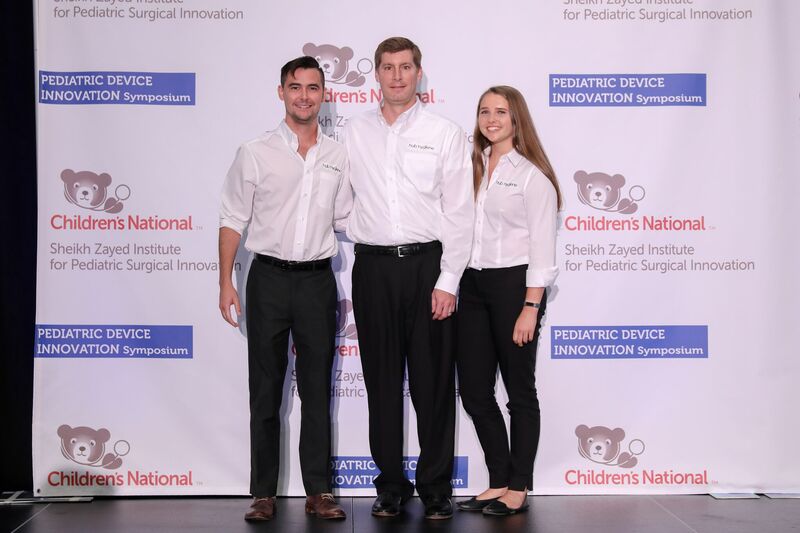 The competition’s mission was to elevate new and viable advances in pediatric healthcare and address the unmet surgical and medical device needs for children. Hub Hygiene’s winning low-cost, single-use cleaning technology will help to prevent central line-associated blood stream infections (CLABSI), a hospital-acquired infection by pediatric ICU patients. The Center for Disease Control and Prevention states that CLABSI causes thousands of deaths a year and is costing the U.S. healthcare system billions of dollars. The device, bioSCRUB, stands to revolutionize the industry as a cost-effective and life-saving solution for practitioners. 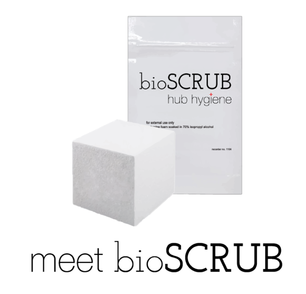 BioSCRUB, the unique sugar-cube size open-cell micro abrasive foam device saturated in isopropyl alcohol, helps to remove and absorb CLABSI-causing bioagents. The Hub Hygiene team was first recognized for their device’s unique potential after taking home the crown during the 2016 Georgia Tech Capstone Design Expo. Dr. Ready was the faculty advisor for the Georgia Tech Research Institute sponsored group. “The idea was to create a minimal maintenance technology that can be easily transitioned into a practitioner’s daily duties,” Dr. Ready states. Similar in use to the current IPA towelletes used to wipe the luer lock for 15 seconds, followed by 30 seconds of drying, bioSCRUB requires only four quick twists, with pressure, to allow the foam to conform to the surface — lifting and trapping bacteria in approximately five seconds. Once trapped in the microstructure, the anti-bacterial agent kills the bacteria, and in one simple toss, the sponge and any harmful bacteria are safely discarded. BioSCRUB is set to change the industry with only “four twists” and a dedicated group of researchers focused on preserving life through even the smallest structures possible. Researchers are partnering with both public and private-sector organizations to develop and apply transformative technology that will connect incompatible systems and analyze vast data sets.